Josh Fuentes, who played at Missouri Baptist University five years ago, is now the 11th-rated prospect in the Colorado Rockies organization, according to MLB.com, and he looks to continue his success as he got called up to the Big Leagues this week, delivering a base hit in his first-ever Major League at-bat. Josh Fuentes, then and now. In the photo on the left, Fuentes fields a ball and makes the throw to first base while shoring up the infield as a Missouri Baptist University Spartan five years ago. 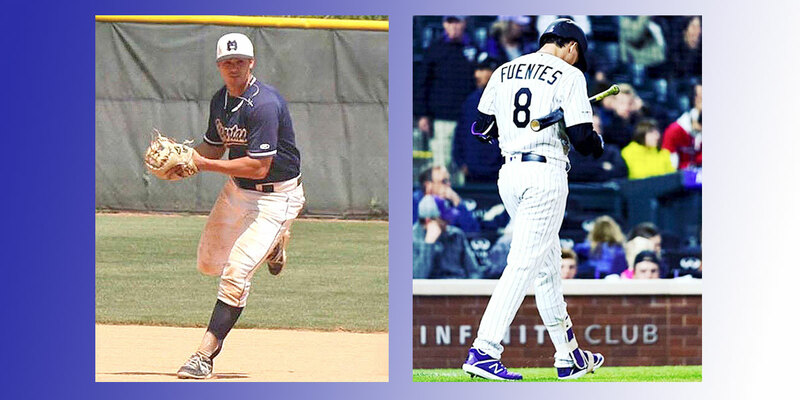 In the photo on the right, Fuentes dons his big league uniform as he was called up this week to the Colorado Rockies.